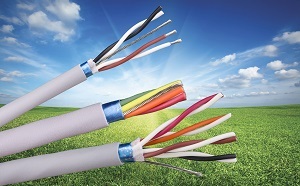 Alpha Wire has added to its popular EcoCable recyclable cable line to include a new 300 V version that is up to 32% smaller and 44% lighter than standard 300 V PVC cable. EcoCable Mini features recyclable mPPE jacketing and insulation with superior dielectric properties, a -40°C to +80°C temperature range, five shielding options, and is available in over 250 standard multiconductor and multipair constructions from 28 to 20 AWG. Custom and composite configurations are also available. For additional information, contact Alpha Wire at 800-52-ALPHA (522-5742) in North America, 01-932-772-422 in Europe, and 21-61498201 in Asia. Also, please visit our website to download data sheets, access search filters, and request free samples of EcoCable Mini. EcoGen Products are the next generation of eco-friendly high-performance wire and cable designed to provide better performance, in a smaller package. All EcoGen products contain no halogens, phthalates or heavy metals, and are 100% recyclable. Their innovative mPPE insulation and jacket materials allow them to meet RoHS and WEEE Requirements for the elimination of hazardous substances and recyclability. 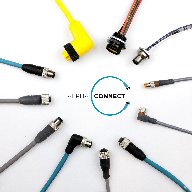 Alpha Wire products ideal for medical device applications.